Approximately five miles of paved and dirt trails wind through a mosaic of habitats that makes this urban natural area so unique. Get the detailed trail map here. Seasonal changes among various stands of Oregon white oaks, maples, and huge stands of conifers can be dramatic. About 1.5 miles of trails are paved, while the remaining 3.5 miles are well maintained, soft-surface trails. The Nature Park Interpretive Center, Oak Trail, and sections of the Vine Maple Trail are accessible to the disabled. Regular wildlife sightings include, deer, coyote, owls, and beaver activity. The Nature Park Interpretive Center is the gateway to the park and offers trail maps, restrooms, and a library of nature guides. The park is also easily accessible by Tri-met since the north entrance to the park is directly adjacent to the Merlo Station MAX stop. Read about birding at the park on Bird Guide. 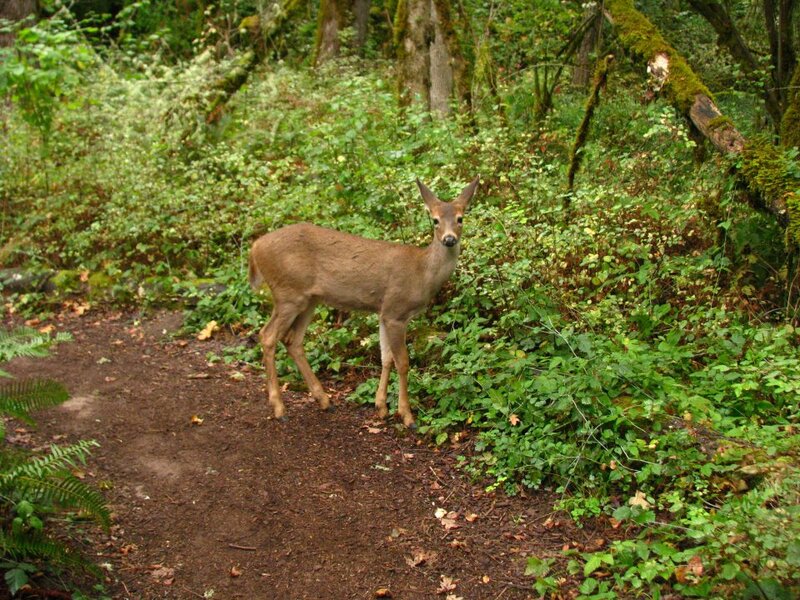 Talk a Recess out to the Tualatin Hills Nature Park to discover the wonders of this urban oasis along the Vine Maple Trail.